Our Zanzibar – 4 Days extension takes us to this exotic playground off the coast of Tanzania. Zanzibar is a perfect getaway for romantic couples, families or safari-goers who are looking for a relaxing beach retreat. Old Stone Town showcases mosques and slave quarters. Located on the western coast of the main island of the Zanzibar archipelago, Old Stone Town was the center of the spice trade as well as the slave trade in the 19th century. Take in its history as a dhow, a traditional sailing vessel of Indian Ocean and Red Sea region, glides by; you may think that you are in another time. Outer islands offer “barefoot luxury” beside turquoise waters… plus some of the worlds best snorkeling and scuba diving sites! 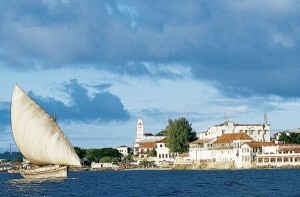 Great Safaris Zanzibar – 4 Days extension includes 3 nights at seaside resort, all inclusive with airport transfers.